Texas Online Radio: First Nationwide Test of Emergency Alert System scheduled for November 9th. Fails to provide Nationwide Alert. First Nationwide Test of Emergency Alert System scheduled for November 9th. Fails to provide Nationwide Alert. Leave your comments on this story below. The first nationwide test of the Emergency Alert System, or EAS, will take place at 2:00 p.m. (Eastern Standard Time) on November 9, 2011. The purpose of the test is to assess the reliability and effectiveness of the system in alerting the public. What exactly is the EAS? The Emergency Alert System is a media communications-based alerting system that is designed to transmit emergency alerts and warnings to the American public at the national, Tribal, state and local levels. EAS participants broadcast alerts and warnings regarding weather threats, child abductions and other types of emergencies. EAS alerts are transmitted over television and radio broadcast, satellite television and satellite radio, cable television and wireline video services. The EAS is often used by state and local emergency managers to alert the public about emergencies and weather events. The system provides the ability to send messages regionally or nationally, though it has never been tested at these levels. A major disaster such as an earthquake or tsunami could require the use of the system to send life-saving information to the public. Why do we need a nationwide test? Although local and state components of the EAS are tested on a weekly and monthly basis, there has never been an end-to-end nationwide test of the system. We need to know that the system will work as intended should public safety officials ever need to send an alert or warning to a large region of the United States. Only a complete, top-down test of the EAS can provide an appropriate diagnosis of the system’s performance. We anticipate that the test will last approximately 3 minutes. Will the test involve mobile communications devices? No. 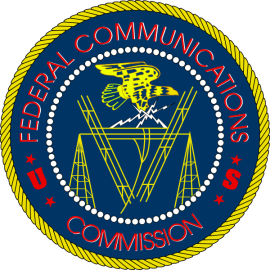 The test will involve only those communications service providers – broadcast radio and television, cable television, satellite radio and television and wireline video services – that participate in the EAS. How will the national EAS test be conducted? The Federal Emergency Management Agency (FEMA), along with the Federal Communications Commission (FCC), will conduct the nationwide test on November 9, 2011 at 2:00 p.m. eastern standard time. The alert will be transmitted throughout the country and will be monitored by the EAS participants. After the test has been completed, the EAS participants will report back to the FCC on the results of the test. Although the nationwide EAS test may resemble the periodic monthly EAS tests that most consumers are familiar with, there will be some differences in what consumers may see or hear, which is one reason for conducting a nationwide EAS test. During the test, the public will hear a message indicating "this is a test". The audio message will be the same for everyone, however due to limitations of the EAS, the video test message may not be the same and may not indicate "this is a test". This is due to the use of a "live" national code – the same code that would be used in an actual emergency. Also, the background image that appears on video screens may indicate "this is a test" but in some cases there may be no image at all. FEMA and the FCC plan to reach out to organizations representing people with hearing disabilities to prepare that community for the national test. In addition, FEMA and the FCC will work with EAS participants to explore whether there are solutions to address this limitation. For more information about EAS, visit the FCC’s EAS webpage at www.fcc.gov/encyclopedia/emergency-alert-system-eas. For more information about AMBER Alerts, see our consumer guide at www.fcc.gov/guides/amber-plan-americas-missing-broadcast-emergency-response. Finally, for information about other telecommunications issues, visit the FCC’s Consumer & Governmental Affairs Bureau website at www.fcc.gov/consumer-governmental-affairs-bureau.